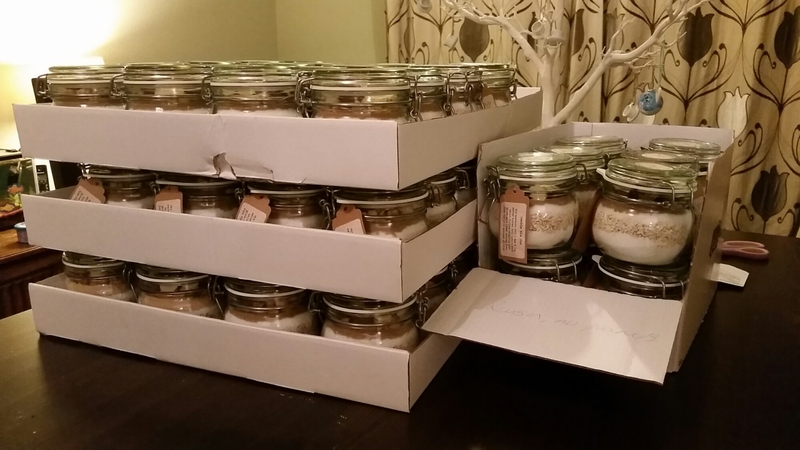 Anyway, after a productive day of jar layering and labelling, I realised that the school run was looming, we had a parents evening appointment and the church prayer meeting, and I hadn’t thought about dinner. It had to be quick, it had to be nutritious and it had to be warming; it’s freezing today in the North West! I sliced two large leeks and sautéed in a saucepan with some coconut oil and a couple of cloves of garlic. After a few minutes I threw in two diced sweet potatoes leaving the skin on. A teaspoon of ground coriander, one of madras curry powder, salt, pepper and a couple of dashes of lemon juice provided the seasoning. When the spices had had a couple of minutes to cook out I added some stock, tossed in a good handful of frozen spinach and left to simmer until the sweet potato was tender. Meanwhile I roughly chopped some cavalo nero, sprinkled it with rapeseed oil, salt, pepper, garlic powder, cumin seeds and a little ground coriander. 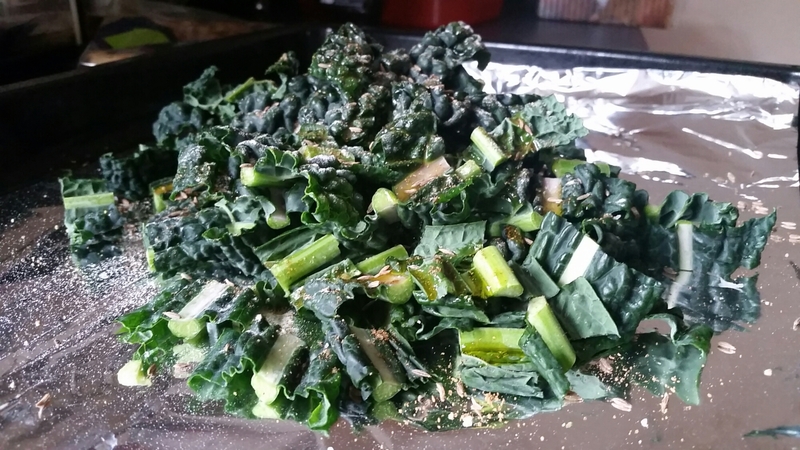 Spread the greens out in a single layer on a baking sheet and bake at 160oC for about 10-15 minutes until crisp. I love using my nutribullet to blend soups, it makes them beautifully silky smooth. 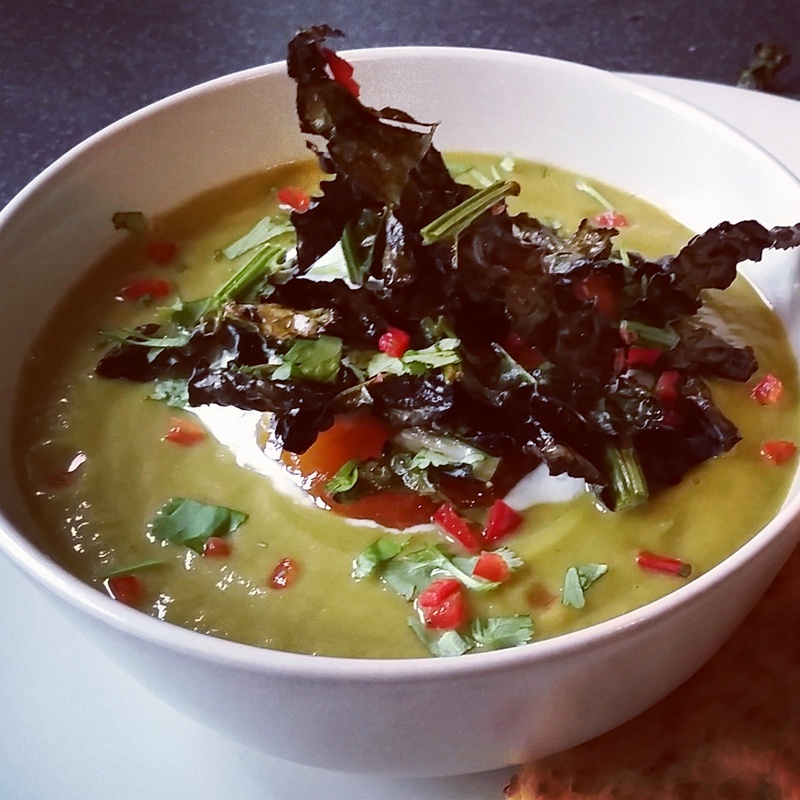 To serve I mixed some non fat Greek yoghurt with chopped coriander, salt, pepper and a little lemon juice and put a dollop on top of the soup, added a little mango chutney for sweetness, topped with the cavalo nero crisps, some more coriander and some finely chopped red chilli. We enjoyed a little treat of peshwari naan to dunk too. Delicious.